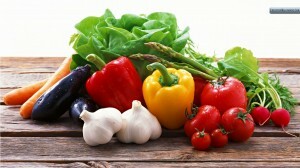 Which Vegetables Should Be Cooked For Optimal Health? We know we’re supposed to eat our vegetables. They provide us with many vitamins, minerals, carbohydrates, and fiber which are all essential to our health. Interestingly enough, some sorts of produce have higher nutrient counts when cooked. The process of cooking softens the fibrous exteriors which in some cases releases more nutrients and boosts antioxidants. Now you’re likely wondering which vegetables you should cook to achieve optimal health. First we’ll take a look at asparagus. When cooked, their cancer fighting nutrients are present, and cooked asparagus make such a nice side dish. Cooking mushrooms will boost their potassium, which is very important for our muscular health. Leafy greens such as spinach are also healthier when cooked. You will absorb more calcium, iron, and magnesium this way. Now the next one may come as a surprise seeing that we usually see this one being served raw, but tomatoes (technically classified as a fruit) will release more lycopene when cooked which is known to help fight against cancer and heart disease by reducing inflammation in the body. Carrots, zucchini and broccoli all contain carotenoids that are released when these foods are cooked, particularly when they are steamed or boiled. The great thing about this antioxidant is that the body can turn it into vitamin A which can help strengthen the immune system and fight against disease. In addition, broccoli and other cruciferous vegetables like kale, collard greens, cauliflower, arugula, bok choy, brussel sprouts, and radishes contain chemicals when eaten raw that block the production of the thyroid hormone in the body. Hypothyroidism can lead to many issues including weight gain, fatigue, low libido, and constipation. There are various ways to cook vegetables and most are a pretty safe route to take with the exception of deep frying. Sauteing, stir frying or any form of pan frying are quick and easy methods that allow for the vegetables to retain great flavor. Be mindful of your cooking fat when doing this and look for an extra virgin olive oil when you are cooking with medium heat. Extra virgin coconut oil is great for high heat. Of course boiling and steaming vegetables is a good way to make them softer and easy to digest. If you have more time, roasting your veggies gives them a unique flavor. Place your chopped up veggies in a baking pan, drizzle them with extra virgin olive oil and heart healthy balsamic vinegar, a crack of sea salt and roast them in the oven for about 30-40 minutes at 450 C giving them the occasional stir. Eat your vegetables but have fun with them! Of course we are big on food quality here at the gym and hope you are too! Our nutritional trainers are here to help and can educate you on which types of produce must be consumed organic and where you can save money and buy conventional. To set up an appointment to discuss food quality or any other nutritional needs you have, get in touch with us schedule@kalevfitness.com, 604-568-6006, or pop by the front desk to make an appointment.